Barcelona to sign Chelsea defender in January? Barcelona are reportedly keen on acquiring the signature of Andreas Christensen from Chelsea when the transfer window reopens next month. The 22-year-old made his Blues debut under Antonio Conte last term and he went on to make 40 appearances for the club across all competitions. However, with the change of management this term, he has struggled for regular gametime and has been restricted to just one league start under Maurizio Sarri. According to Sport, the Blaugrana are said to have already made contact with the Blues regarding a winter move and the defender is keen to discuss a potential deal with the Catalan giants. 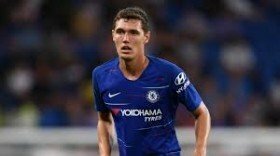 Christensen's father, who is also his agent, has previously admitted that the versatile defender could leave the Blues on a permanent basis this winter, should his gametime remain limited. The Denmark international has made just nine appearances under the new manager this term and out of those, six have come in the club's Europa League campaign.